2016 Yamaha SRViper M-TX 153 SE, 2016 Yamaha SRViper M-TX 153 SE Excel from powder filled meadows to mountain tops. Features May Include: NEW 36-Inch SRV-M Front Suspension The sleek all-new SRV-M Front Suspension is ultra compact to reduce unwanted spindle and suspension component drag in deep snow; a narrowed stance for extreme maneuverability; and delivers more aggressive lean angles for incredible side-hilling and powder turn capabilities. The new forged aluminum spindle joins new upper and lower control arms for reduced weight (2.4-pounds); while an increased caster angle improves side-hilling and ease of steering. A narrowed overall stance and elimination of the sway bar greatly enhances deep snow agility. NEW Mountain Ski A new Mountain Ski was developed to compliment the new SRV-M front suspension by offering advanced deep snow performance. The new ski is 7-inches wide at the tip and then tapers to a high-flotation 6.5-inches. The ski also offers greatly enhanced adjustability, with a range of 34.5 to 38.5-inches. NEW Lightweight Brake Disc Ever component of the 2016 M-TX models was scrutinized to both shed unnecessary weight and deliver exceptional performance. A new lightweight brake rotor eliminates rotating mass while still delivering optimum braking performance. FOX FLOAT 3 Front Shocks The latest generation air shock from FOX® features an infinitely adjustable, no tool required, air spring. By changing the air pressure in the main chamber with the included pump, the FLOAT® is the most progressive, adjustable, and lightweight air shock available. A relocated air valve enhances access, and calibration changes further deliver exceptional bump compliance and control. 2.6-Inch Power Claw Track The Power Claw track features a 2.6-inch lug and unique durometer (hardness) to deliver improved lift and flotation in deep snow. The lugs are staggered and curved forward with bolstered towers to prevent folding. Available in both 153 and 162 lengths, the Power Claw performs with amazing balance, predictability and versatility. Genesis 1049cc High Performance Engine (deep snow unique) The 3-cylinder Genesis engine has been regarded as the industry s best four-stroke engine. 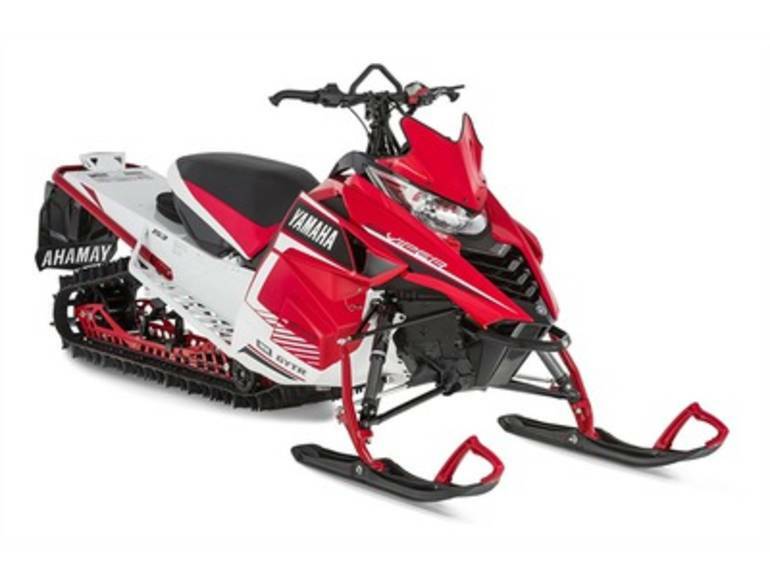 Featuring a sophisticated closed-loop fuel injection system and 4-valves per cylinder, the 1049 engine delivers a class-leading horsepower, instant throttle response and a thick torque curve that jettisons you on top of the deep snow in a blink of an eye. All with great fuel economy and a reputation for bulletproof durability. NEW Performance Windscreen The lean and assertive demeanor of the SR Viper M-TX 153 SE is freshened for 2016 with a new performance inspired, color-matched windscreen. All Yamaha pictures are kind of Yamaha HD motorcycles picture was taken, including motor fuel gauge, engine, engine mounts, tires, fuel tank, the car handles, lights and so on, 2016 Yamaha SRViper M-TX 153 SE full-screen viewing,2016 Yamaha Motorcycles today Price: $11,900 .